Office Space - Cramlington, Northumberland. This centre is located in Cramlington on an established business estate just outside the town centre. This business centre offers various workspaces for one person or more. 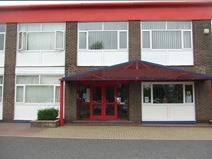 Meeting room and car parking facilities are available, and the building is secure.